KISS Rocks on Until The End! “I’m totally stoked to be back on KISS, especially for the final tour. And to be working with Edu Menna who drew my friend Craig Engler’s ZNation, it’s pretty awesome!,” said writer Amy Chu. 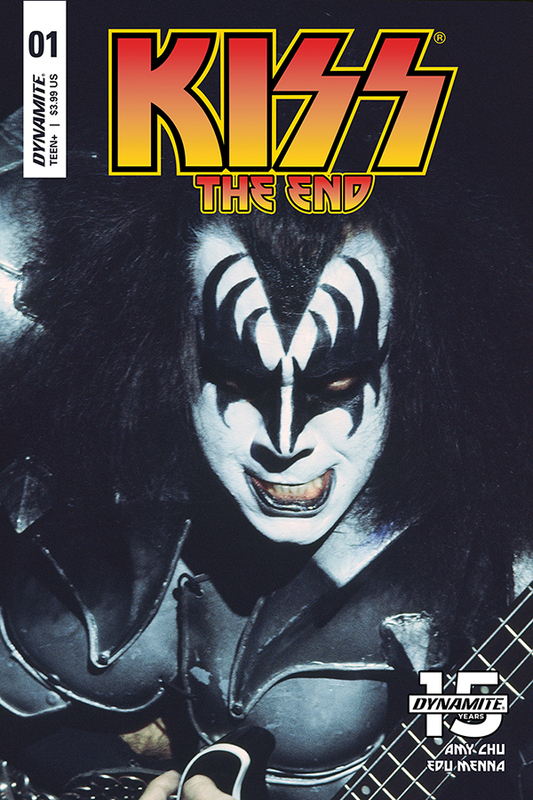 “I’ll be incorporating parts of the actual tour and KISS history into the storyline, and expect lots of Easter eggs, just like in the previous Elder run!”Artist Edu Menna shared, “I’ve listened to KISS since my teenage years and their Unplugged album is a favorite. I’ve followed Amy’s work and have had ‘envy’ of artists who partnered with her…finally my turn arrived! I always try to bring something new for each project. In this work I want to use my style combined with the elegance of the European masters. I hope fans enjoy what we’re putting together.”“A lot of books have rock and a lot of books have roll, but none of them are going to combine the two like we are with this one. This is the first comic that is going to make your ears ring,” said editor Kevin Ketner. 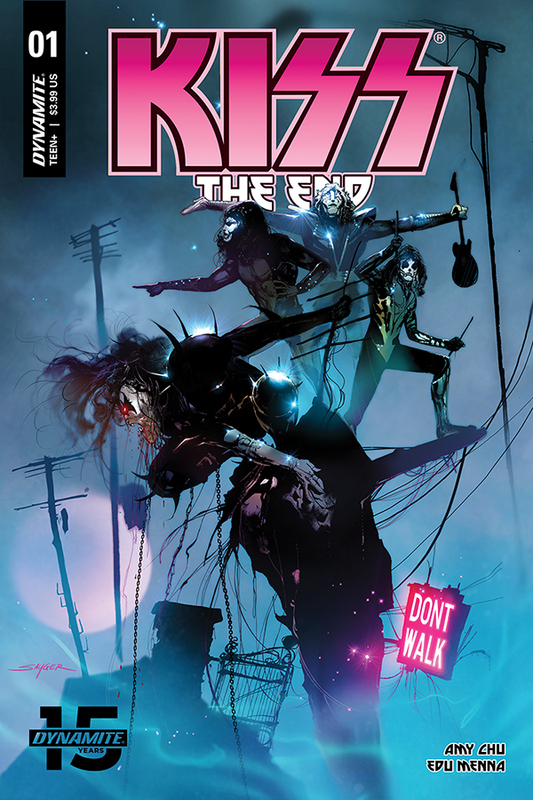 “So go hydrate, do some stretches, and get your LCS to pre-order your copy.”KISS: The End #1 will be solicited in Diamond Comic Distributors’ February 2019 Previews catalog, the premier source of merchandise for the comic book specialty market, and slated for release in April 2019. Comic book fans are encouraged to preorder copies of the issue with their local comic book retailers. It will also be available for individual customer purchase through digital platforms courtesy of Comixology, Kindle, iBooks, Google Play, Dynamite Digital, ComicsPlus, and more!